Here, I argue that mindfulness meditation can support progress-focused work. First, I describe effects of mindfulness meditation on cognitions, emotions and body. Then, I explain how mindfulness meditation can support progress-focused conversations. Cognitive effects: research shows that meditation can stimulate the formation of gyri in the cortex which enhances information processing (read more). Furthermore, there are indications that meditation improves people's capability to focus which makes them better at integrating and remembering new information (read more). A new study also found that an 8-week Mindfulness-Based Stress Reduction (MBSR) training program led to changes in gray matter concentration in brain regions involved in learning and memory processes, emotion regulation, self-referential processing, and perspective taking. Emotional effects: research shows that meditation can loosen certain neuronal pathways. In particular a pathway between the dorsomedial prefrontal cortex (dmPFC, which is sometimes referred to as the me-center because it processes much information related to the person him or herself) and brain centers related to bodily sensations (the insula) and fear (the amygdala). Because of these looser connections it becomes easier for people to not let their actions be led by fear. In addition to this, certain pathways are strengthened due to which our empathetic capability is strengthened (read more). Physical effects: research suggests that meditation can reduce blood pressure levels and stress and reduces the risk of cardiovascular disease (read more). In response to my previous article I received a few questions about how mindfulness and mindfulness meditation may be relevant for the progress-focused approach. So, can mindfulness somehow indeed support progress-focused practice? I think that is certainly the case. 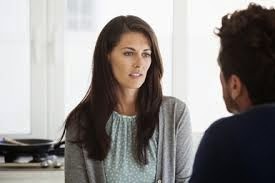 An important principle in progress-focused conversations is to listen carefully to what one's conversation partner says and to respect and work with that. By listening attentively, by taking the other person seriously, and by accepting the other person's perspective one creates a basis for co-operation. To be able to start with the other person's perspective requires that one is able to distinguish clearly between one's own perspective and the other person's perspective. That may sound more obvious than it is. People who are just beginning to apply the progress-focused approach may find it hard to concentrate on what the other person says and to only work with that. Often, they are distracted by their own thoughts, feelings, norms, values and ideas. They often communicate these own perspectives without fully being aware of that, for example by asking suggestive questions. Recently, a participant in our training program told me that she became more and more aware of how she, in her reactions and questions, unintentionally let her own interpretations and views sound through. This feeling of conscious incompetence did not feel comfortable but it was useful. Becoming more aware of her own thoughts, feelings, and interpretations made it easier for her to keep them out of the conversation. Effective progress-focused work does not ask for the absence of one's own feelings, interpretations, values, etc. That we have these perspectives is an inevitable consequence of being human. What progress-focused work does require is: (1) that you are aware of the fact that you have these personal perspectives, (2) that you view the fact that you have these personal views and perspectives as normal and non-problematic, and (3) that you are capable of remaining goal-focused during conversations and keep your own views out of the conversation when that is more helpful. In other words, what is important is (1) awareness, (2) acceptance, and (3) goal-focused choices. If we consider what mindfulness meditation can lead to, the only reasonable conclusion seems to be that it can be very supportive of progress-focused practice. It can help to (1) be more aware of our own thoughts and feelings, (2) to accept them, and (3) to focus and not be distracted by them.